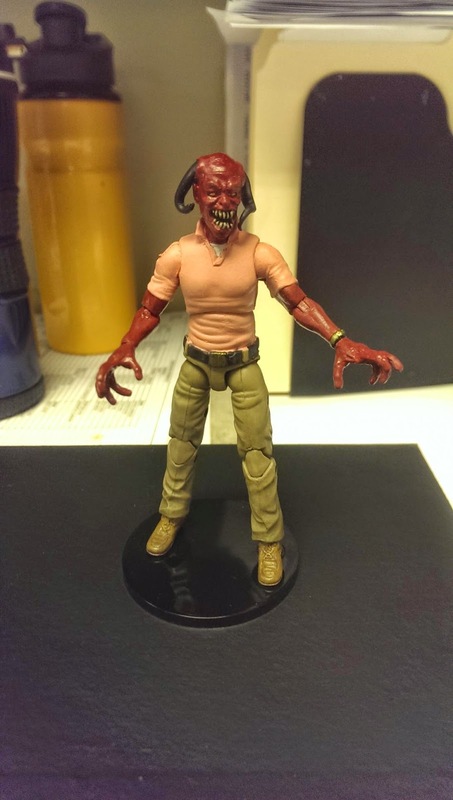 Small Crimes: Win a Demon! To celebrate today's release of THE BOY WHO KILLED DEMONS, the good folks at Overlook Press commissioned Jacob Klingele to make this one-of-a-kind demon figure, and they've asked me to run a contest to give this very unique object away to a deserving fan. So here's how this will work: if you're a fan of the book, you should have no problem answering these five questions about demons. Email me your answers to dave.zeltserman@gmail.com by November 7th, and one lucky fan will win the above demon figure. 1) When demons aren't plotting to open up the gates of hell, what do they do during their downtime for entertainment? 2) As THE BOY WHO KILLED DEMONS documents, the demons hiding among us take jobs to keep us from being suspicious. What's the most common profession that demons end up in? 3) For those few of us who are unlucky enough to be able to see and hear them for what they are, describe how they sound. 4) In our realm, what are the demons natural enemies? 5) How many cities must the demons simultaneously perform their awful rituals so that they can open up the gates of hell? More Demons being given away!